Antique, Henri Pape upright piano for sale with a rosewood case £800: Henri Pape upright piano. Specialist steinway piano dealer, trader and wholesaler. Besbrode Pianos Leeds Yorkshire England UK. If you are interested in this antique, Henri Pape upright piano, give us a call on 0113 244 8344 and ask for Steven Leeming who will be happy to discuss your requirements. Antique, Henri Pape Upright Piano with a Rosewood Case. 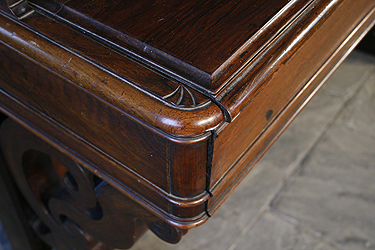 Console Piano Features Fretwork Panel, Inlay and Carved Legs. 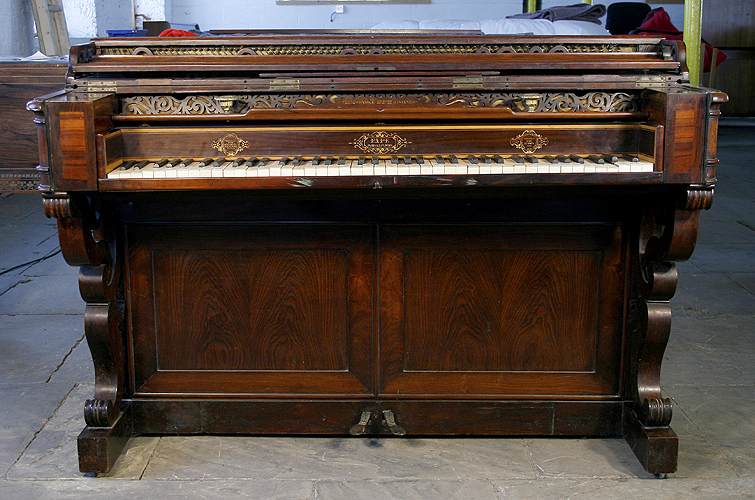 An antique, Henri Pape upright piano with an rosewood case. 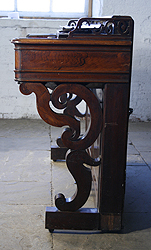 Console Style piano features a fretwork panel, inlay and carved legs. 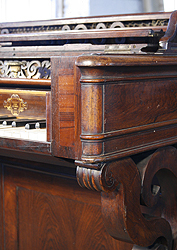 Piano is unrestored. Instrument not functioning. 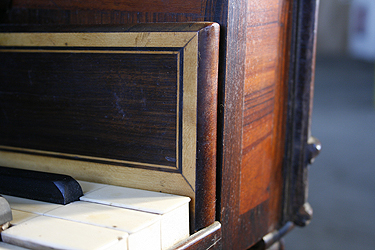 A unique part of piano history. A true museum piece. Henri Pape was instrumental in the development of the piano. Description: Piano is unrestored. Instrument not functioning. 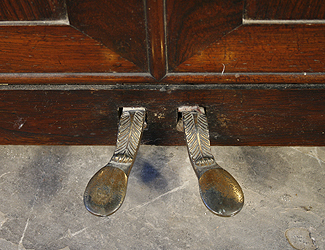 A unique part of piano history. A true museum piece. 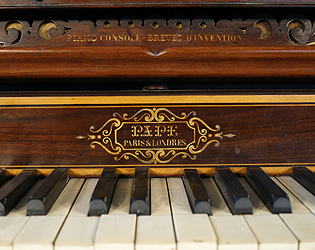 Henri Pape was instrumental in the development of the piano.